The subject is usually the first person or his/her family member, but can also be the second person in question. The potential form, moraeru, is often used in question. The respectful form, itadaku, or its potentianal form, itadakeru, is used instead of morau when receiving something from someone of higher status or to whom the speaker wishes to show respect. 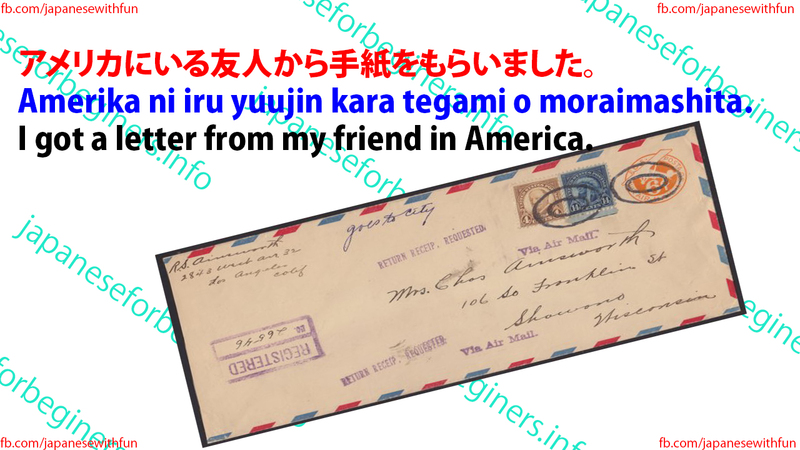 Amerika ni iru yuujin kara tegami o moraimashita. 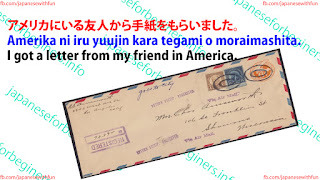 I got a letter from my friend in America. Yuujin kara o-kane o kashite moraimashita. I was lent some money by a friend. Sensei ni sakubun o mite itadakimashita. I had my composition looked through by the teacher. Minna ni kyoushitsu o souji shite moraimasu. I will get you all to clean the classroom. Sono hon o misete moraemasu ka. Can I get you to show me the book? Sono hon o misete kuremasu ka. Kare ni sore o shite moraitai to omoimasu. I think I want to get him to do that.